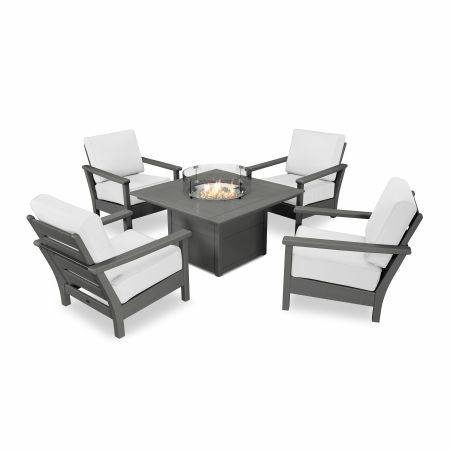 Bring the warmth of a roaring fire to your backyard with an adjustable flame that requires minimal maintenance. Weather resistant POLYWOOD® fire pit tables are available in round and square designs. We believe in connecting friends and family, fostering memories, and helping create spaces enjoyed by all, with little upkeep needed. 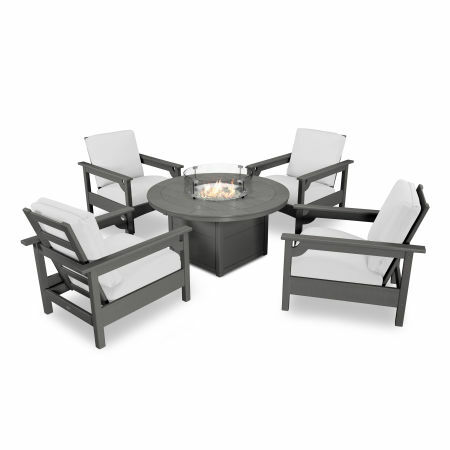 Spending time with those you love shouldn't be interrupted by the hassle of a traditional fire pit! 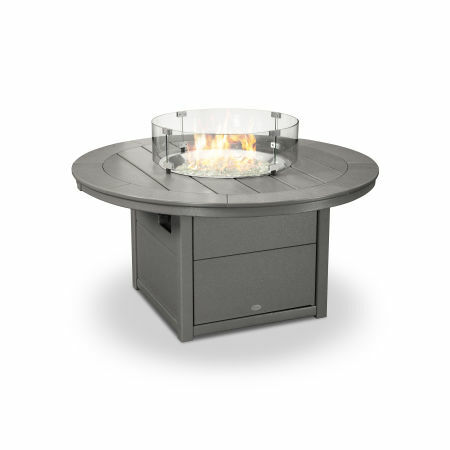 With the push of a button, POLYWOOD Fire Pit Tables provide a safe yet roaring fire, allowing you and your guests to kick back and relax under the stars next to a warm flame. POLYWOOD Fire Tables are the perfect centerpiece for any outdoor space. 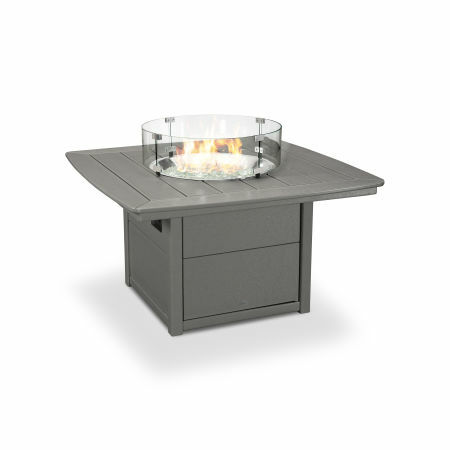 The easy-to-use fire table generates an adjustable flame that will keep your yard glowing long after the sun sets. These brand new additions to the POLYWOOD® product line can comfortably fit between 4 and 6 Adirondack or Deep Seating chairs. Keep the room around you free by placing your drinks, s’mores ingredients, and other snacks on the spacious table top around the fire. The glass wind guard will protect your treats and your family from getting too close to the flame, even on windy days. To construct our three types of fire tables we transformed our best selling designs by incorporating a no-hassle fire pit within each one. 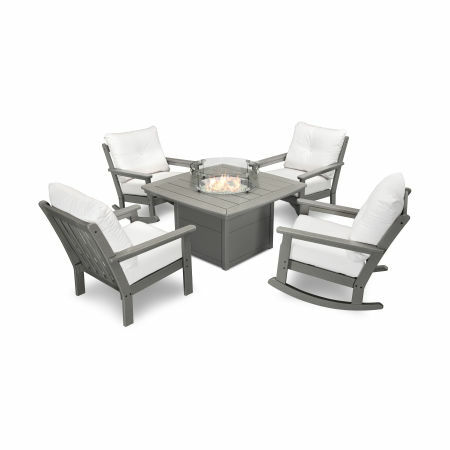 We’re proud to offer three unique fire table looks: the Round, Nautical, and Square Fire Pit Tables. 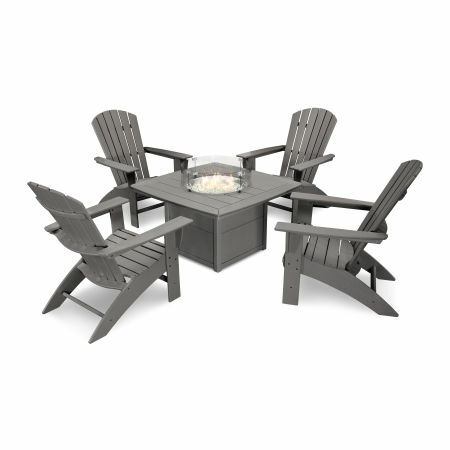 Each design naturally pairs with several distinct Adirondack and Deep Seating options so you can complement the rest of your outdoor space. Constructed from our durable HDPE lumber, our POLYWOOD® Fire Tables are weather resistant, and unlike wood they won’t crack or rot. While a cover is provided to help protect your burner bowl in inclement weather, your fire table won’t be harmed by the rain: water will easily drain from the bowl without problem. In a stark contrast from charred fire pits, maintenance for our fire tables is a breeze. A quick clean with soap and water will keep your lumber looking great. The clear glass gems won’t melt, burn, or discolor. Simply wipe them down or rinse with water to occasionally remove excess dust. It’s that easy! Our fire tables are designed to be completely stable, safe, and child-proof. The clear glass wind guard prevents your children and pets from getting too close to the open flame. The superior construction allows you to install the fire tables on any flat surface, from your concrete patio to your wood deck. Fire tables are built to withstand a range of climates including hot sun, snowy winters, and strong coastal winds. Do you live next to the ocean or right in front of a lake? There’s no exposed hardware on our fire tables that can rust due to salt spray. 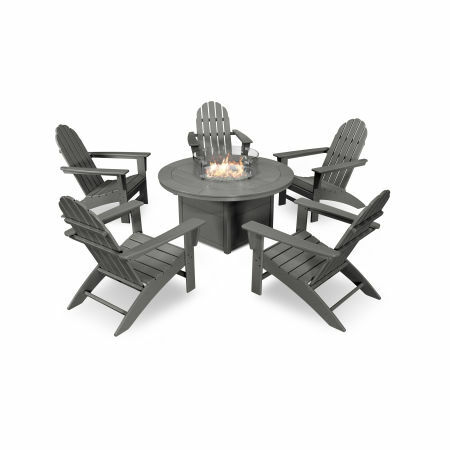 Fire tables are available for use with propane or natural gas, though a 20-pound propane tank is not included with your purchase. Easily access the propane tank of the fire table through a side door outfitted with a hidden hinge and a strong magnetic latch. Do you need some professional guidance to ensure your fire table blends seamlessly into your outdoor space? We have your covered. Check out our Fire Table Guide over on our blog!